Not every daughter is lucky enough to have a close and nurturing relationship with her mom, growing up. Not every daughter gets to enjoy a fun and loving relationship with her mom as an adult, either. I've been blessed with both. 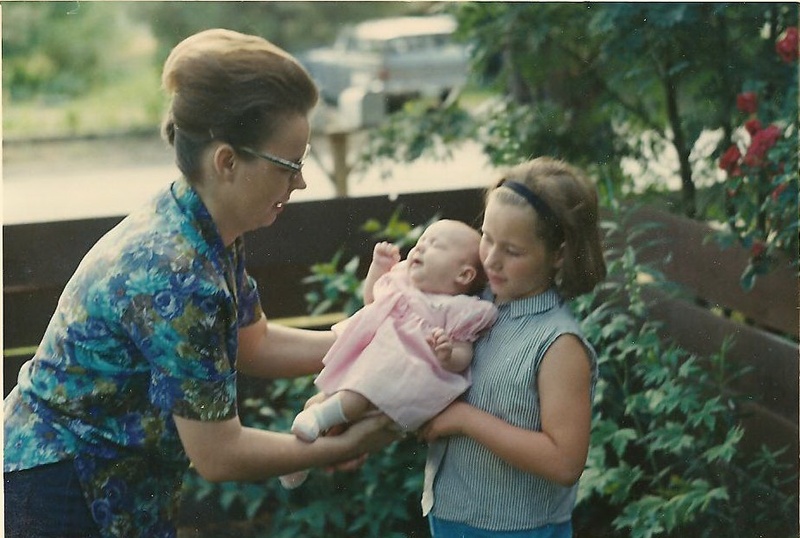 When I was born in 1967 (that's me in the little pink dress making the sleepy face) I had no way to know just how much I was going to learn over the years from that woman in the flowered blue shirt, my mom. So here's the thing: Not every mom cooks, and not every mom has an inborn talent for creating a home. My mom has an abundance of talent in both of those areas, so I was very lucky to learn from someone like her. Now, while I don't have biological kids, over the years I've taught a lot of people to cook, plan meals, build holiday traditions from scratch, and just to have fun creating a home for themselves and their families. I'd initially thought of Creating Home as a simple way to pass along the occasional recipe or snippet of wisdom that we get from our moms, when we're as lucky as I've been. Thinking about what we learn from our moms and from each other prompted me to encourage Lisa to share her recipes and thoughts about home, whenever she had the time and inclination, as well. Then recently an interesting thing happened. 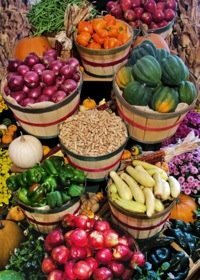 My mom, Barbara, started commenting on the recipes as I posted 'em, sometimes just to point out I'd forgotten a key ingredient, or perhaps suggest a substitution that works just as well, or to make some other contribution. 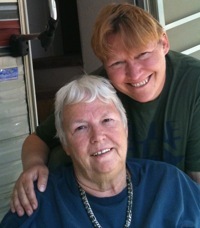 I invited Mom to join us here a little more officially, so I can share my mom with all of you, too, to talk about cooking, life, family, and creating home. To my delight, she agreed. So even though we're living several states apart, thanks to the magic of the Internet, we all get to cook together, and get to share our kitchen with all of you. So welcome to Creating Home. We're glad you're here, and we're all looking forward to sharing our online home with you.